Subscribe to the News > Community Associations to receive useful resources, legal updates, and webinar events to keep you informed and up to date on important issues and trends. Liz White, our Community Associations team leader, is co-presenting Rentals in Your HOA or Condo Getting You Down? What HOA Boards Need to Know About Regulating Rentals on Thursday, June 21, 2018. HOAleader.com, a national online publication for homeowner associations, is hosting this webinar. Liz contributes to HOAleader.com and has presented multiple webinars through the platform. Join HOAleader.com for a webinar on how to create a smart—and enforceable—rental policy at your HOA. What to know about rentals in HOAs: Is it true they can lower property values? Or is that just an urban myth perpetuated by stuffy, get-off-my-lawn-type owners? The pros and cons of creating rental restrictions in your community, including the biggie: How do we enforce it? Visit HOALeader.com to register for the webinar. Liz leads our firm’s national Community Associations industry team and works in our Williamsburg, Virginia office. She is widely regarded as a thought leader in this industry and is a frequent speaker at CAI (Community Association Institute) events on topics relating to community association law. She is a regular contributor to publications such as www.HOAleader.com. Liz teaches a class on community association law at William and Mary Law School, which is the only one of its kind in Virginia and one of only a handful nationwide. 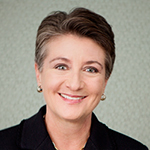 Liz is co-presenting the webinar with David Firmin, managing partner at Hindman Sanchez P.C. in Lakewood, Colorado. Local Governments and Community Associations: Who Enforces Your Regulations?